Heinrich von Tschirschky is the German ambassador to Austria-Hungary. In previous crises, the German government and Kaiser Wilhelm himself have always favoured a moderate approach by Austria-Hungary towards Serbia. On that basis Tschirschky himself has urged caution and restraint to the Austro-Hungarians in the aftermath of Franz Ferdinand’s murder. He sends a report back to Berlin, noting that he has advised against any intemperate move against Serbia. But when Wilhelm sees Tschirschky’s message, he is furious. Perhaps because of his friendship with Franz Ferdinand. he now favours immediate Austro-Hungarian action against Serbia. He writes in the margin of Tschirschky’s note that that the ambassador is talking nonsense and has overstepped his authority, that Serbia must now be dealt with. In 1912 and 1913 Serbia fought in two wars. The first saw a coalition of Balkan countries take large swathes of territory from Turkey. The second was a conflict over the spoils between the victors. Serbia was victorious in both Balkan Wars, but the struggles depleted the country’s military resources. Serbia has issued appeals to Russia, its patron, to make good the losses in matériel. Now Russia agrees to ship 120,000 rifles and 120,000,000 rounds of ammunition to its Serbian friends. Sergei Sazonov, the Russian foreign minister, also inquires of the readiness of Russia’s Black Sea fleet for war. In Vienna, foreign minister Berchtold reports to Emperor Franz Josef that the murder of Archduke Franz Ferdinand must be avenged. The time has come from for a final reckoning with Serbia, whose hand must surely be behind the assassination. Berchtold urges decisive but not hasty action. Franz Josef agrees in principle, but he is concerned about the unity of his empire. There can be no action against Serbia unless it is backed by Count Tisza, the Hungarian prime minister. Meanwhile from Belgrade comes a note from Wilhelm von Stork, the Austro-Hungarian chargé d’affaires. He reports on Serbian exultation at the death of Franz Ferdinand. War fever grips Austrian government circles. The murder of the heir to the Austro-Hungarian throne is an unpardonable act. Serbian complicity in Franz Ferdinand’s assassination is taken for granted. Army chief of staff Conrad calls for immediate mobilisation against Serbia. Leopold von Berchtold, the foreign minister, argues for delay. But he is not implacably opposed to war as such. Previously he had always argued against those who proposed war with Serbia, but now he seems more bellicose. Yet he is naturally cautious, constitutionally incapable of swift decisions. 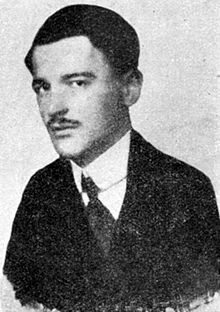 Another opponent of war is Stefan Tisza, the Hungarian prime minister (the peculiar constitutional setup of Austria-Hungary means that it has two prime ministers and two governments, but one army and one foreign minister). He visits Vienna to offer condolences to the Emperor. He also meets Berchtold and is perturbed by the foreign minister’s new found belligerence towards Serbia. Tisza is implacably opposed to war and to Austro-Hungarian expansion in the south; as far as Tisza is concerned, the less Slavs in the empire, the better. Sarajevo, meanwhile, is convulsed by anti-Serb riots. 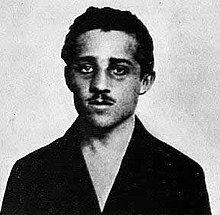 And under interrogation, Chabrinovitch, the man who threw a bomb at Franz Ferdinand, admits to having worked with Gavrilo Princip. He continues to deny the existence of a wider conspiracy. Wilhelm II, Germany’s Kaiser, is taking part in a regatta at Kiel when he learns of Franz Ferdinand’s murder. The two men had been close. The Kaiser is shaken by the news. The assassination of Franz Ferdinand has no immediate impact in France. That country is pre-occupied by the murder trial of Henriette Caillaux, who has shot and killed the editor of Le Figaro, which had been printing scurrilous articles about her and her politician husband. In Britain also the Archduke’s assassination excites relatively little attention. Sarajevo is too far away to seem like something happening there is of any great import. Labour unrest, the agitation for women’s suffrage and the ongoing Home Rule crisis in Ireland loom larger in the national consciousness. But in Serbia, Franz Ferdinand’s murder is a big event. The 28th of June is the anniversary of the Battle of Kosovo in 1389. Although this was a great defeat for the Serbs, the battle is celebrated because a Serbian knight managed to kill the Turkish Sultan. Now many in Serbia see the murder of Franz Ferdinand as the death of another of their national enemies. This for them is an excuse for further celebration. There is a certain irony here, as Franz Ferdinand had always been a staunch opponent of war against Serbia. Franz Josef, Habsburg emperor of Austria-Hungary, is at Ischl when the news of Franz Ferdinand’s murder arrives. He displays no visible emotion but dines alone. Franz Josef was not fond of Franz Ferdinand, his nephew. The Emperor strongly disapproved of the Archduke’s marriage and only allowed it on condition that Franz Ferdinand and Sophie’s children would not be in line for the throne. Now Franz Josef seems to see the Archduke’s murder as divine judgement for marrying beneath him. The Emperor forbids the Archduke’s burial in the Habsburg family vault. Franz Conrad von Hötzendorf is chief of staff of the Austro-Hungarian army. He is on manoeuvres in Croatia when he hears of Franz Ferdinand’s murder. Conrad had been close to Franz Ferdinand. Now, assuming that the Archduke’s murder was directed by Austria-Hungary’s enemies in Serbia, he decides that the time has come for a final reckoning with that upstart Balkan kingdom. It is Sunday. Archduke Franz Ferdinand, heir to the Austro-Hungarian throne, is in Bosnia-Herzegovina for army manoeuvres. Today he is paying an official visit to the province’s capital, Sarajevo. He arrives by train at 9.20 a.m. and then boards a car that will take him to the Town Hall for the first of his official engagements. With him is his wife, Sophie, the Duchess of Hohenburg. As she is not from one of the ruling dynasties of Europe, she is not allowed to sit with her husband at formal events in Vienna, but in Sarajevo things are more relaxed. Cheering crowds line the route from the station to the Town Hall. But not everyone is so fond of Franz Ferdinand. Many Bosnians hate that their region has been incorporated into Austria-Hungary and instead wish that it was part of Serbia or some new country of the southern Slavs. For Bosnians who hate Habsburg rule, the visit of Franz Ferdinand is a symbol of national humiliation. Among the crowds lining the archduke’s route are conspirators who have planned to avenge that humiliation by murdering him. The first two of these fail to act, but then one Nedjelko Chabrinovitch throws a bomb at Franz Ferdinand’s car. The driver sees it coming and accelerates out of danger; the bomb explodes instead under the following vehicle, injuring two policemen. Chabrinovitch is quickly apprehended. The archduke’s car speeds to the Town Hall too quickly for any of the other conspirators to try anything. The assassination attempt forces a change of itinerary for Franz Ferdinand. He will cancel all his planned engagements bar an official lunch in the Konak, the governor’s residence. But the archduke insists on a trip to the military hospital to visit the men wounded by Chabrinovitch’s bomb. A route is arranged that will allow the archduke’s motorcade to speed along quickly, minimising the danger of further assassination attempts. Unfortunately, the lead driver takes a wrong turn. Realising his mistake, he stops, halting the entire motorcade. Franz Ferdinand’s car is halted right beside where conspirator Gavrilo Princip is waiting. The Serb nationalist seizes his chance, producing his pistol and firing twice at the archduke. 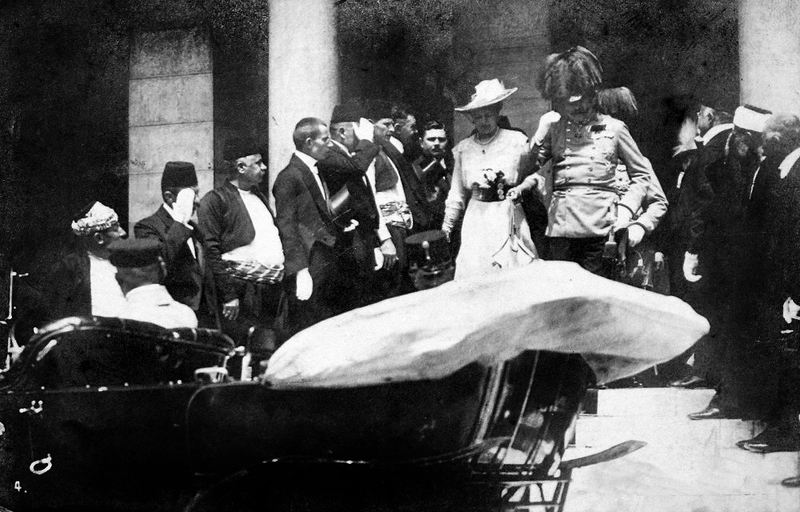 The first shot hits Franz Ferdinand, the second his wife, who has thrown herself in front of her husband. The wounds prove fatal. By 11.30 a.m. both Franz Ferdinand and Sophie are dead.